Hi,we welcome you to our practice with warm smiles! Our office dental assisting team consist of Jessica and Dary.They will help you during dental procedures and answere any questions regarding dental insurance,payments and billing. 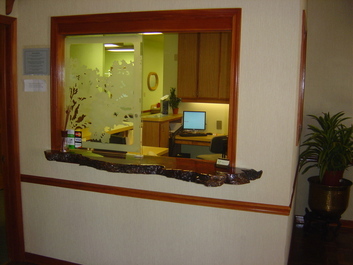 In our Lodi Dental Ofice, we are here to help you maintain and achieve beautiful and healthy smiles. Our goal is for each of you to enjoy that same feeling of ease and confidence in our office. You will see a friendly face at the front desk and our goal is to ensure you always feel welcome. While working closely with the dentist we will do our best to help make your visit to our office as pleasant and comfortable as possible .We want to help you feel relaxed and comfortable through your procedures. We are highly trained in all dental procedures .Quality and comfort is our top priorities. To give you the best possible service and results, we are committed to continual education and learning. We attend dental lectures, meetings, and dental conventions to stay informed of new techniques, the latest products, and the newest equipment that a modern dental office can utilize to provide state-of-the-art dental care. Also, being members of various professional dental associations helps us to stay abreast of the changes and recommendations for our profession. We understand how uneasy some patients may feel about their dental visits, and how we can make a difference in providing a relaxing and positive experience. Our entire team is dedicated to providing you with excellent, personalized care and service to make your visits to our Lodi dental office as comfortable and pleasant as possible. A standard of excellence in personalized dental care enables us to provide the quality dental services our patients deserve. We provide comprehensive treatment planning and use restorative and cosmetic dentistry to achieve your optimal dental health. Should a dental emergency occur, will make every effort to see and care for you as soon as possible. Our lodi family dentistry offers Kids friendly and gentle care for the whole family.we are happy to answer your questions, schedule appointments, help resolve concerns and make your visits positive. Dr Ali is a fantastic doctor to work with as she is highly skilled in dentistry and fun to be around. We have a very positive the environment in here. We are here to assist you and explain your insurance benefits, and processing your dental claims. And we work with you on the financial aspects of your dental needs and help you make payment plan or credit application. We all work hard to provide the best service for you. We will make every effort to help find a resolution to the problems faced when dealing with insurance companies. Our state-of-the-art sterile room is dedicated to the complete and proper sterilization, maintenance and care of our surgical instruments. We take Infection control in our Lodi, CA dental office very seriously, in order to protect our patients and also ourselves, we strictly maintain sterilization and cross contamination processes using standards recommended by the American Dental Association (ADA), the Occupational Safety and Health Administration (OSHA), and the Center for Disease Control (CDC). PROVIDING GENTLE DENTAL CARE FOR YOUR ENTIRE FAMILY FROM THE YOUNG TO THE YOUNG AT HEART.